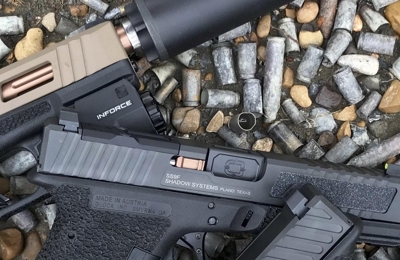 Get your custom glock parts from Shadow Systems! Shadow Systems is an online gun manufacturer based in Texas but ships around the world. We are a true American company that is led by veterans and military officers. All of our products are made right here in the U.S.A. We specialize in custom Glock parts and custom Glock Upgrades, but also sell complete pistols. Order online today!